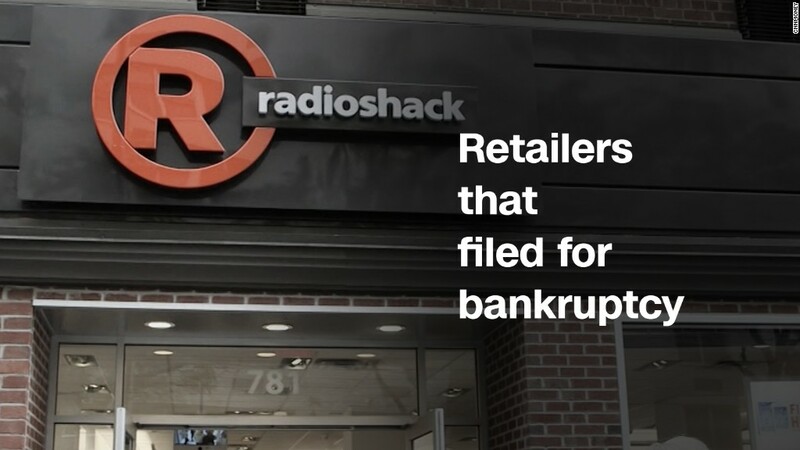 It’s obviously a terrible time to be a brick-and-mortar retailer. But Wall Street is betting that things will get even worse for department stores and retailers. Investors are placing huge wagers that the one-two punch of Amazon(AMZN, Tech30) and fast fashion will knock out more and more stores in the months and years to come. Not surprisingly, retail is the most hated industry in the entire stock market. That’s based on Bespoke Investment Group stats on the average percentage of shares that investors are betting against, or shorting. Unfortunately for retail employees and investors, that’s been a winning trade. Anemic sales have forced hundreds of store closures, countless retail bankruptcies and tens of thousands of layoffs. Along the way, retail stocks have gotten crushed. Consider that two-thirds of Macy’s(M) market value has vanished over the past two years, and JCPenney(JCP) is down 90% since early 2012. Sears(SHLD), which also owns Kmart, has warned there’s “substantial doubt” it will survive. But Wall Street thinks the bleeding will get worse. Investors are more negative on the retail industry than any time since September 2008, according to Bespoke stats on the average percentage of shares being shorted. Keep in mind that was the same month that Lehman Brothers went bankrupt, raising the specter of financial Armageddon. Shorting a stock typically means borrowing it from a broker and immediately selling it, in the hopes it can be bought back at an even lower price. It’s a very risky strategy that can backfire very quickly if the stock keeps rising. On average, 15.6% of the shares among retailers are being shorted. That’s considered a very high level. All of this doom-and-gloom is driven by dramatic shifts in consumer behavior. Americans are increasingly shunning the mall in favor of Amazon and other sites to get their shopping done. At the same time, the stores that have survived are having a very hard time competing with fast fashion brands like Zara and H&M. So which retailers are investors most worried about? Wall Street is betting most heavily against the following stocks: Dillard’s(DDS), Fred’s(FRED), Big 5 Sporting Goods(BGFV), JCPenney, Big Lots(BIG), Urban Outfitters(URBN), Tailored Brands(TLRD), Childrens Place(PLCE), Abercrombie & Fitch(ANF) and GameStop(GME). And the bets against retail may indicate the death-of-retail trade has become too “crowded.” Often when many investors expect something to happen, it doesn’t. There are also some bright spots in the retail landscape. Consider Best Buy. Some feared the electronics chain would get killed by Amazon, but this year Best Buy(BBY) stock (up 37%) is actually beating the Jeff Bezos juggernaut.